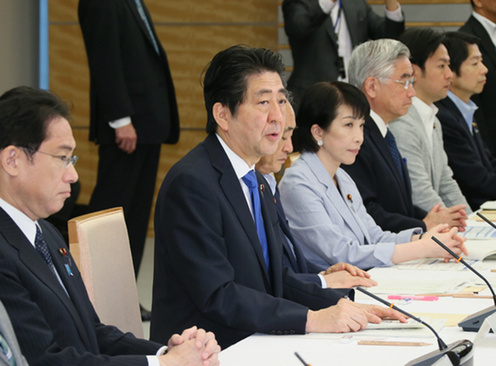 On Friday, May 20, Prime Minister Shinzo Abe announced a new US$800 million pledge to the Global Fund to Fight AIDS, Tuberculosis and Malaria. This is the largest pledge so far in the Global Fund’s current replenishment round, and in yen terms, it represents a 46 percent increase over Japan’s previous commitment. The pledge was part of a US$1.1 billion package of new funding from Japan for five multilateral global health initiatives aimed at contributing to the Sustainable Development Goals (SDGs). The other initiatives include Gavi, the Vaccine Alliance; the Global Health Innovative Technology Fund, the World Bank’s Pandemic Emergency Facility; and the World Health Organization. The prime minister’s announcement is an important milestone in the fifth replenishment round, through which the Global Fund aims to raise US$13 billion for the three-year period from 2017 to 2019, thereby saving an estimated 8 million lives. Once the current pledge and this new one are fulfilled, Japan’s total contributions to the Global Fund since it was launched in 2002 will total US$3.47 billion. This funding leads to tangible impact, with the Global Fund estimating that every US$100 million saves 60,000 lives through Global Fund–supported programs and catalyzes US$2.2 billion in long-term economic gains. Japan also pledged US$800 million in 2013 during the fourth replenishment round. While the US dollar value of Japan’s commitment remains the same in the new round, fluctuations in the yen-dollar exchange rate since then has meant that the new commitment is a 46 percent increase in Japanese yen terms, a significant increase for any donor. FGFJ is pleased to see this increase, which represents Japan’s unwavering commitment to this crucial global health institution.